Match report and photography by Ian Lovell. Bedwas gave their survival hopes a huge boost with a complete team performance from 1 to 15 as they thrashed local rivals Bargoed to earn a bonus point win. On a windy evening punctuated with heavy showers Bedwas kicked off in to the strong wind but started at a fast tempo registering the first try of the evening after only four minutes. Fly half Jacob Chilcott ghosting past a defender to set up Adam Williams to crash over for a try. Joseph Scrivens added the extras; no mean task against such a strong wind. 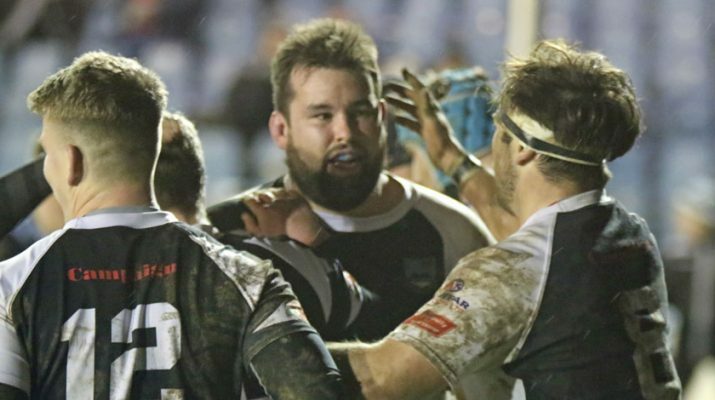 Scrivens added a penalty goal as Bedwas continued to dominate. Brynley Toms increased the Bedwas lead after 20 minutes as he used his size to bulldoze over the line. Scrivens again converted. Bargoed hit back with a try against the run of play as a Chilcott clearance kick was charged down and Bargoed full back Julian Mogg was adjudged the winner of the race to dot the ball down. Callum Jones successfully converted. Bedwas were in no mood to roll over and dominance up front saw the Bargoed pack splinter under pressure and the referee immediately awarded a penalty try. With the wind at their backs for the second half Bedwas wasted no time in securing the 4 try bonus point from a catch and drive, captain Alun Rees the last off the whitewash to claim the try. Scrivens kept up his 100% kicking record by adding the conversion. Replacement Jonathan Davies was next over the whitewash as Bedwas put the game to bed with 30 minutes left to play, Scrivens again converting. With the game in the bag Bedwas made a raft of changes with fresh legs coming on. Bargoed secured some territory but could not penetrate a well organised defence and Bedwas increased their lead on 68 minutes courtesy of a second penalty try as again the Bedwas forwards outmuscled their opponents. 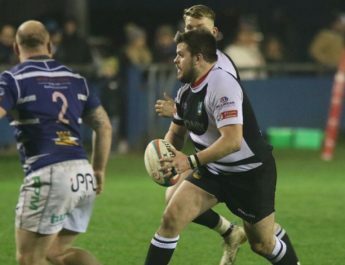 Bedwas were reduced to fourteen men on 70 minutes as a rare Bargoed attack was snuffed out illegally and Ryan Davies trudged off for an enforced rest. The remaining 14 were in no mood to yield and no further scores came whilst the team were a man down. Bedwas wrapped up proceedings in the final minute as Connor Edwards intercepted a tired pass on the visitors try line. Scrivens’ conversion completed the scoring. 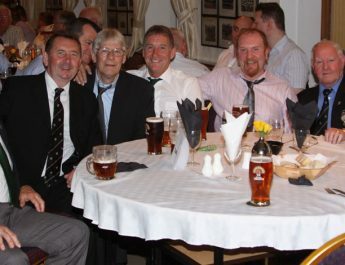 Bedwas Man of the Match sponsored by Casa Mia Restaurant of Caerphilly was awarded to Alun Rees. Next Friday evening Bedwas travel to Cardiff RFC for what is sure to be another tough test against Steve Law’s in form Blue and Blacks. Bedwas v Neath -match postponed. November 29, 2018 Ian Lovell Comments Off on Bedwas v Neath -match postponed.